Frank Bunger, MBA 18, dreamed of space as a child. Today, he’s pursuing that dream as co-founder and CEO of Orion Span, a startup that plans to build the Aurora Space Station to launch travelers into space 200 miles above the earth’s surface by 2021. Bunger, who started Orion Span as a Haas student, has a goal to raise $2 million by Feb. 5 on SeedInvest, an online investment service, so the company can begin building a prototype. The station will accommodate six people—two crew members and four guests, who will pay $12.5 million each for the 12-day trip. So far, 26 people have put down the $800,000 deposit. We recently sat down to discuss Bunger’s space travel plans. Berkeley Haas News: Tell me a little bit about your interest in space. Frank Bunger: Space has been a passion of mine since I was a little boy. I was born in ’79 so I missed the Space Race. I remember being a little kid and reading in the history books about these journeys to the moon; I was like, “Wow! What an exciting time!” At that point, the 80s, it seemed like we were just on the cusp of creating this ecosystem in low-Earth orbit with the International Space Station and none of that came to pass because the costs were just far too astronomical for commercial endeavors to take root. BHN: How did the idea for your startup happen? FB: When I got to Haas I thought, “Okay, what could I do with the time I have left in this world and the skills I’ve learned as an entrepreneur to move this forward?” On the launch front, there are a lot of players like Space X that are attempting to significantly cut the price of launch and improve access to space. And in the destination business there is a field of players who were making things more expensive than they needed to be and then, by extension, they have to charge their customers more. That’s where I wanted to jump in first. BHN: Who did you go to for help after you came up with the idea? FB: When I came up with this concept in the summer of 2017 I started floating ideas. My first conversation was with a UC Berkeley faculty member who later became an advisor, Professor Tarek Zohdi from the mechanical engineering department. My first question to him was, “Can I 3-D print this whole thing, and just how cheaply can I build it?” Through many conversations, it turned out that we could probably 3-D print a good portion of it through known technologies. I eventually found some of the best people at NASA at the Johnson Space Center in Houston who have been in the industry for decades, who have done this before, who worked on the International Space Station, and told them what I had in mind. We started to slowly form a team. BHN: So how much is it going to cost to build the station? FB: NASA and other commercial entities are spending a lot themselves in order to make something operable. I knew that space travel could be done far, far more cheaply—$65 million to build the whole thing. It’s still relatively expensive, but compared to others, that is about an order of magnitude less than any of our competitors. BHN: Why did you choose a low-Earth orbit destination? FB: It’s just closer, so the amount of energy to reach that point is pretty much as low as it’s going to get to achieve orbit. So that’s one thing that keeps cost down on the launch front. Number two, you get awesome views. Lastly, the Earth’s magnetic field keeps you shielded from the Earth’s natural defenses. BHN: What classes did you take at Berkeley Haas that helped you start Orion Span? FB: Entrepreneurship lecturers Kurt Beyer and David Charron were extremely helpful. The venture capital class I took, too, helped while I was forming the company. And all the other classes around Haas helped, including some of the marketing courses—specifically strategic marketing. I asked the professor for advice many times and I think we really nailed it the marketing, at least at the get-go. We did a lot of things right early on. BHN: How did classmates react to your business plan? FB: I think some think I’m kooky and some think it’s cool. It’s a wide range. BHN: What does the space station look like? FB: It has the volume of a large, private jet—of a Gulfstream. It’s about 12-feet wide and 35- to 40-feet long, and cylindrically shaped because that’s what fits into a rocket. The key to a space like this is to keep it as open as possible so the guests sleep in these large-ish kind of sleeping pods. It’s kind of like a small cruise ship. I think that’s probably the best analogy. BHN: What will your guests do once they’re up there? FB: People want to feel what it’s like to be a professional astronaut. So they will spend a good part of it being citizen scientists. We want to grow food. And we’re also going to have just some fun activities. Even something as mundane as ping pong gets a lot more exciting in zero gravity because the ball goes everywhere, as does the paddle. BHN: Do you worry that space travel is very elitist? FB: Commercial aviation in the 1920s was a game for the rich. Space travel today is going to be a game for the rich. It will not be so forever. My goal is to make it accessible to everyone, but it takes time. The biggest bottleneck cost remains launch so until we see the price of launch come down, it’s going to remain something for the wealthy. BHN: Will you go up with the first crew? FB: I’ll go up within the first year but not first because if I go up, that’s 10s of millions of dollars we’re not making. BHN: What do guests do to prepare to go? FB: The minimum training time will be two weeks and the maximum will be three months, and we’re going to ultimately customize it per guest. The two-week training will be like diving training: you spend 80% of your time training on what to do in the unlikely event that things go wrong. BHN: After the prototype is built, how much do you have to actually test it? FB: A lot. The Space Act Agreement from NASA that provides access to facilities as well as know-how from their staff to test the hell out of the station launch. Our first milestone is to build a ground model, which is just going to be a demonstration that’s not flight-worthy. The second milestone is a scale model which will actually go up (empty with a payload) into orbit and serve as a test bed for us. The final step is to build the full-size space station. It goes through about a year of testing: vacuum chamber, pressure testing, materials testing, strength testing, all that kind of stuff, and NASA has facilities for doing that. BHN: How do you get insurance for a business like this? FB: There’s actually insurance companies out there that do this stuff, believe it or not. Yeah. They insure rockets and/or payloads, but we’ve already talked to two different providers that can insure this. 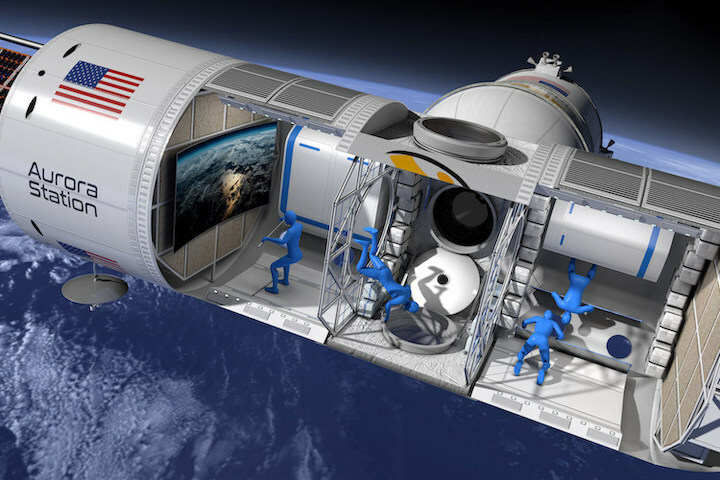 WASHINGTON — A startup with visions of developing private space stations raised only a small fraction of the funding it sought in a recent equity crowdfunding campaign, with no guarantee that it will be able to retain that funding. 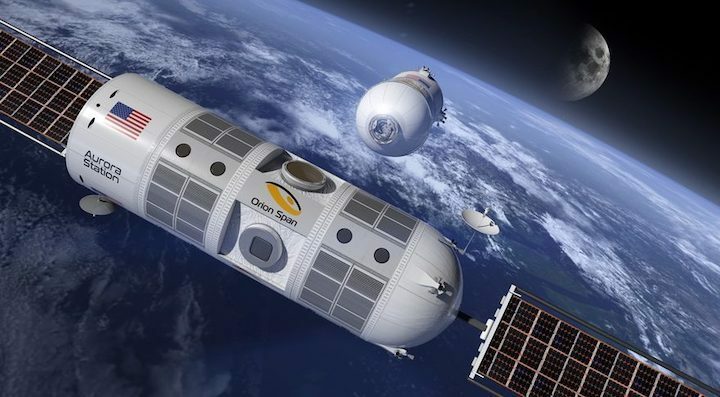 Orion Span unveiled its plans in April to develop a private space station that could launch as soon as 2022 to serve the space tourism and research markets. At the time, the company disclosed few details about its financing, saying it was looking for potential partners to raise new funding rounds. Orion Span announced in December that it was seeking to raise as much as $2 million through an equity crowdfunding campaign using a platform called SeedInvest. The effort is similar to more common crowdfunding efforts with the exception that Orion Span offered equity in exchange for contributions, taking advantage of relatively new regulations by the U.S. Securities and Exchange Commission (SEC) to allow for crowdfunded investments. The campaign was scheduled to end late Jan. 25, and Orion Span continued to promote the effort on social media through that day. Shortly after the deadline, the website for the campaign was no longer available on the SeedInvest site, and the company has not commented on the campaign on social media or other venues since then. A copy of the SeedInvest page for Orion Span, archived by SpaceNews hours before the deadline Jan. 25, shows the company raised $225,700 by that point, far short of its public goal of $2 million. A copy of the site captured by the Internet Archive Jan. 26, just after the deadline, says the campaign raised $235,700. SeedInvest, which says on its website that it accepts only about one percent of the startups who apply to use the site for equity crowdfunding, did not respond to multiple requests for comment regarding the total amount raised by Orion Span and why the campaign web site was no longer available. Orion Span also declined to comment on the outcome of the crowdfunding campaign or its future plans. Courtney Merolle, a spokesperson representing the company, said in a Jan. 29 email that “it’s a bit hectic right now and we are going to have to pass on this opportunity” to discuss the fundraising effort. In a Nov. 30 Form C filing with the SEC, the company disclosed that it was carrying out the equity crowdfunding campaign, governed by a set of rules known as Regulation CF, alongside a separate, more conventional offering of equity governed by Regulation D, which together are called the “Combined Offerings” in the SEC filing. While Orion Span met one requirement under the offering to raise at least $25,000 in crowdfunded investment, that may not be sufficient for the funding round to close. “Unless the Company raises at least the Target Amount of $25,000 under the Regulation CF Offering and a total of $1,000,000 under the Combined Offerings (the ‘Closing Amount’) by February 1st, 2019, no Securities will be sold in this Offering, investment commitments will be cancelled, and committed funds will be returned,” the document states. It’s not clear that Orion Span has raised enough money through the Regulation D offerings to meet that $1 million threshold. The company has yet to file documentation with the SEC revealing the sale of any securities made under Regulation D.
When the company announced its plans in April, it said it sought to place a single-module station called Aurora into orbit by 2022, capable of hosting six people at a time. The company claimed at the time that the station could be built for “tens of millions” of dollars, a figure far less than many satellites. “I knew that space travel could be done far, far more cheaply — $65 million to build the whole thing,” Frank Bunger, chief executive and founder of Orion Span, said in an interview published Jan. 10 by the Haas School of Business at the University of California Berkeley, where Bunger is an alumnus. He did not provide a rationale for that cost estimate. Regardless of the cost, the company has shown few signs of progress in the months since its April 2018 announcement. In the SEC Form C filing, the company disclosed that, as of Sept. 30, it had only $998.86 of cash in hand and just two employees. In October, the company sold $50,000 of convertible notes, the proceeds of which would fund general operating expenses. If the company does raise the $1 million required to close the round, it will spend $85,000 on offering expenses, according to its Form C filing. Of the rest, about 30 percent would go towards work on a ground-based model of the station, another 30 percent for general expenses and the rest on facility and other expenses, including additional investment filings for future rounds. Orion Span also says it has deposits of $80,000 each from 26 customers. Those deposits, though, are held in an escrow fund, according to its SEC filing, and are fully refundable. The company would not recognize the funds until nine months before a customer’s launch.